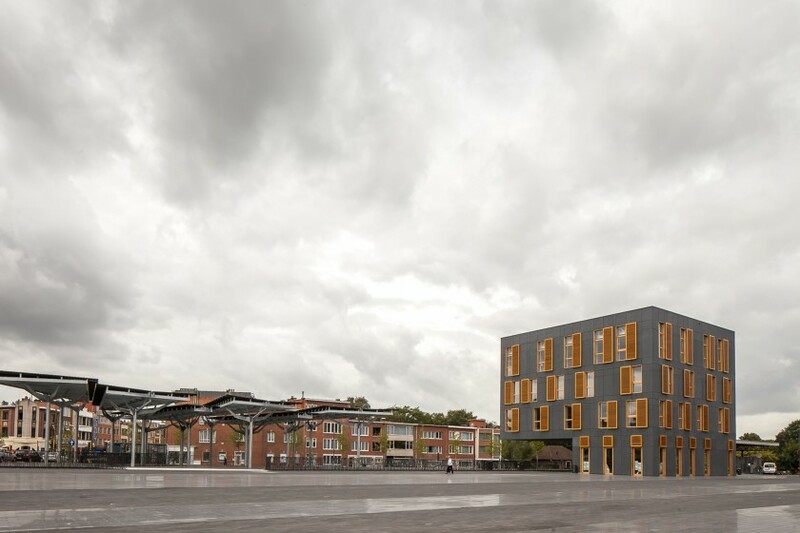 The City of Oudenaarde wanted to make its city centre a pleasant meeting place. From inquiries with the residents, it turned out that less traffic and a pleasant place to stay were the high on the wish list for most people. The masterplan provides an answer to these preconditions without losing sight of the overall picture. 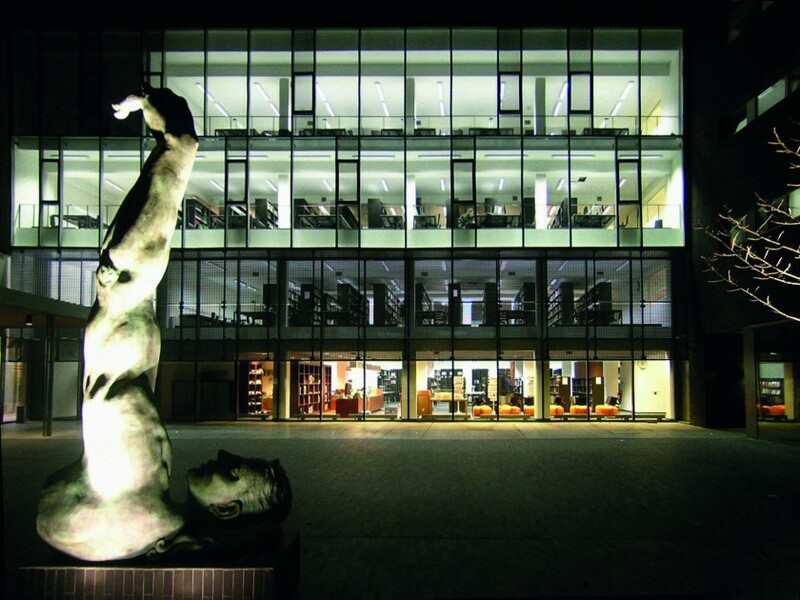 The KU Leuven Campus in Bruges is a collaboration of KU Leuven and local partner VIVES. The building is home to the Faculty of Engineering Technology (FET) and the Faculty of Kinesiology and Rehabilitation Sciences, and the esplanade combines the various new developments on campus. 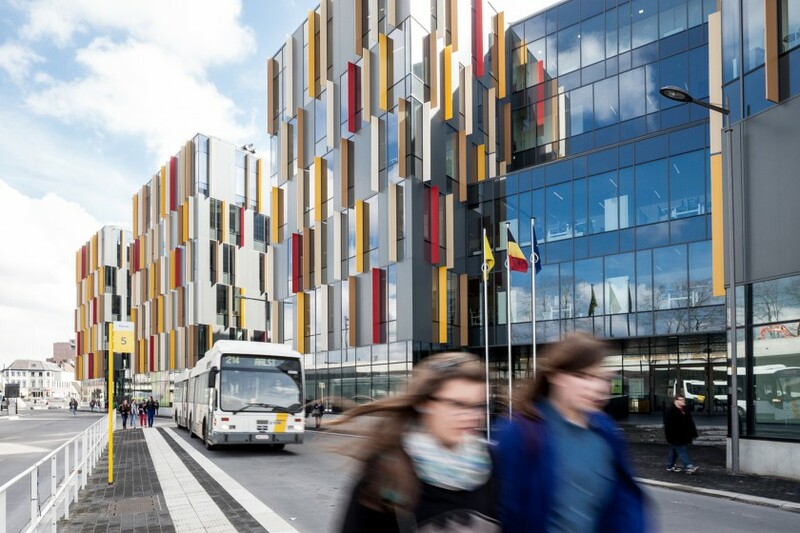 The KU Leuven Campus thus serves as an entry point to the wider campus cluster when approaching from the nearby train station. 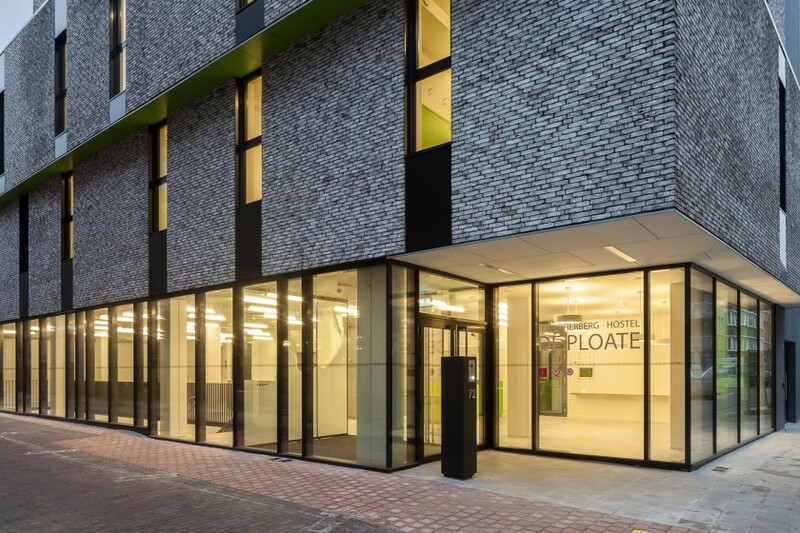 This new office building along the Kortrijksesteenweg in the green Sint-Denijs-Westrem includes a notary’s office with a studio above it. The building is a solid brick volume characterized by volumetric incisions and strategically placed windows. The glass ‘lantern’ at the top of the stairwell forms a minimalist light beacon along the busy road. The front façade opens up on the ground floor through the foyer towards the street, and welcomes visitors via a forecourt. This provides a great visibility and transparency. At the rear facade both the deed halls and the offices enjoy a beautiful view on the landscaped garden with old trees. 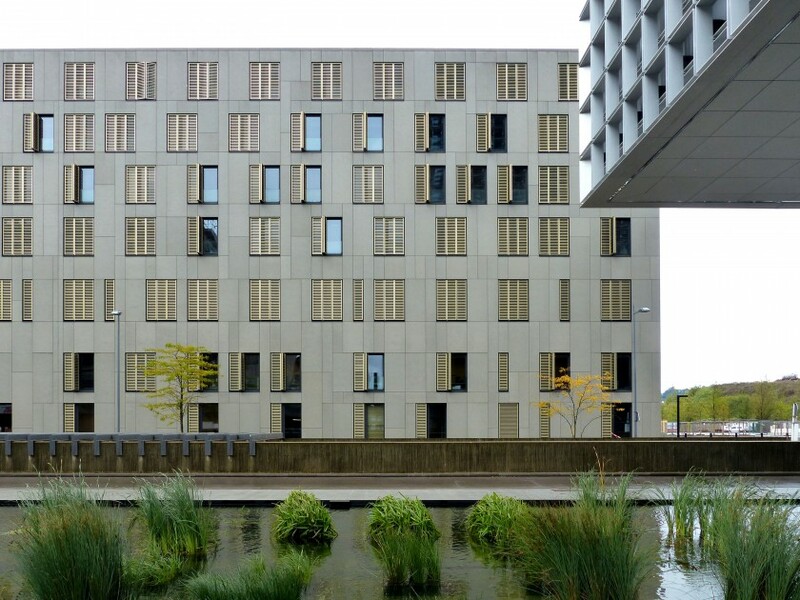 This new university was built within the framework of Jo Coenen’s Belval master plan. 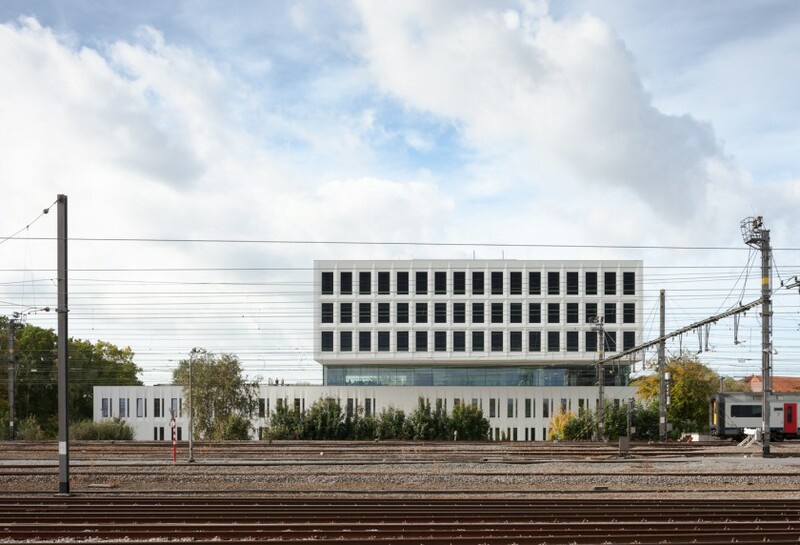 The project contains lecture halls and seminar rooms, research and office space and a multimedia library, and evolved out of a collaboration with Fabeck Architectes. The project is a mixed one in the centre of Ghent with shopping spaces over three floors (basement, ground floor and first floor) and 7 apartments around a communal roof garden on the second and third floor. From Ghent’s ring road the first sight of the hospital AZ Sint-Lucas one gets is the multi-storey car park. For this reason the design devotes a lot of attention to the atmosphere and appearance of the site. 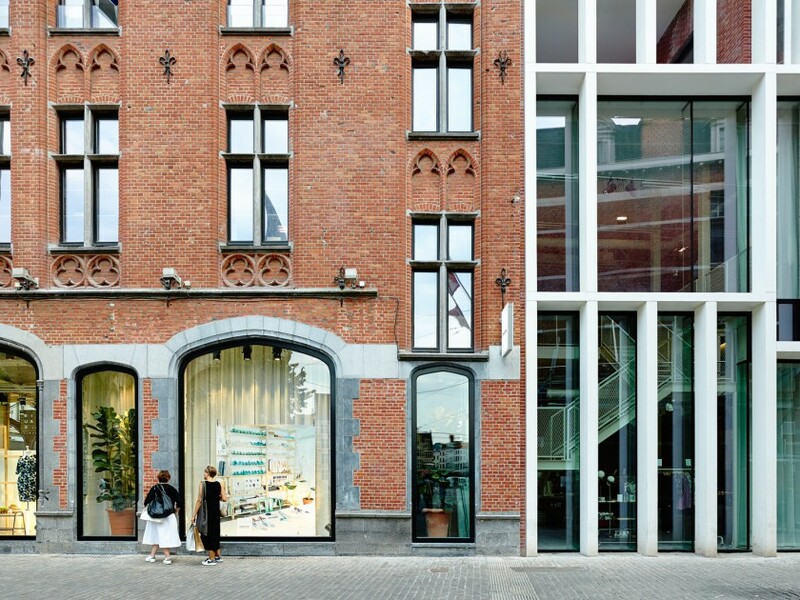 Two historic retail properties in a unique location on Ghent’s Veldstraat and Korenmarkt are revived with a mixed shopping and residential project. Adding to the initial demand for optimisation of the retail space, an opportunity is seized to redevelop the vacant upper floors, with their authentic interiors and stunning city views, into apartments. 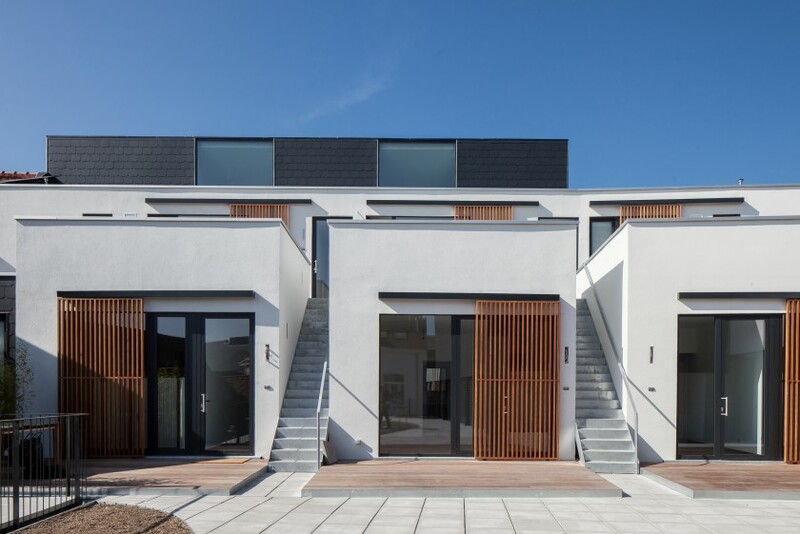 Combining renovation with new construction, the two corner premises are merged into one project, with a spacious two-level shop premises on the ground floor, and five apartments centred around a communal patio on the upper floors. 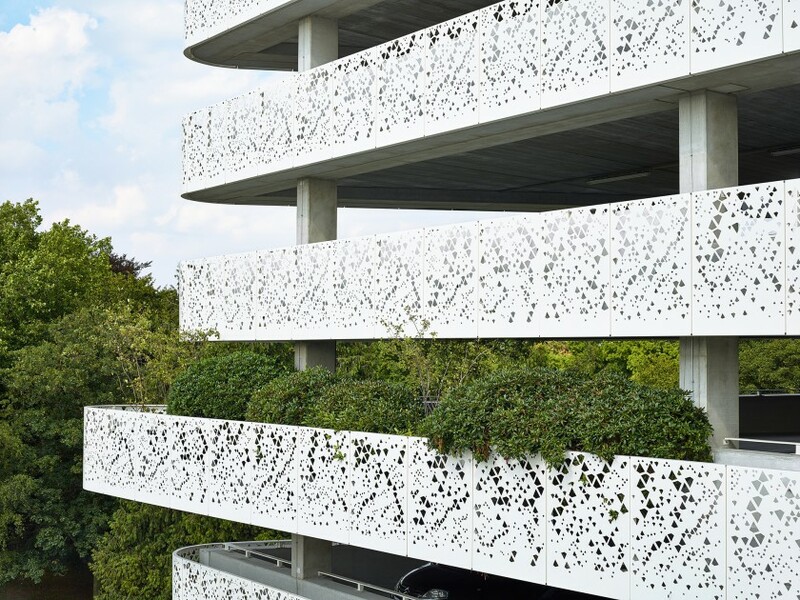 This project consists of three essential parts: a passive multi-functional building, the sustainable city square with awning and underground car park. All components have been realised in a Public-Private Partnership. The former post office site in Aalst was a mixture of industrial buildings of the former ‘Filature du Canal’. 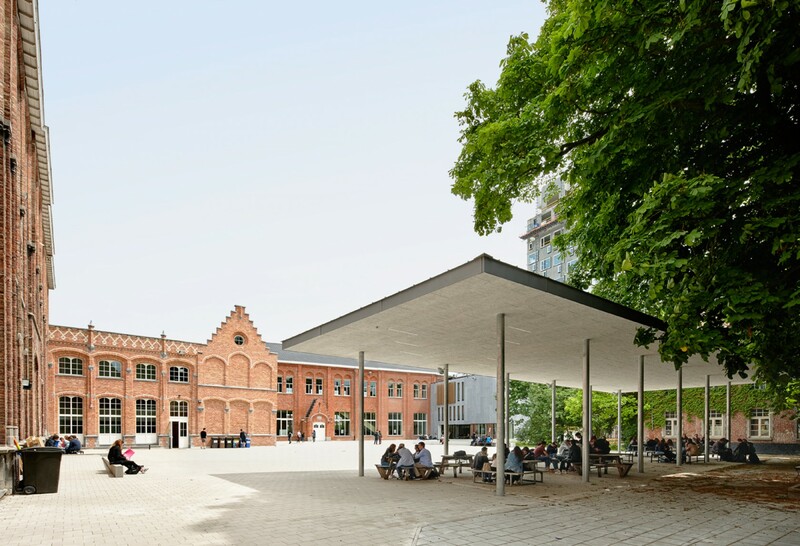 The “Filatures& Urban Fabric(s): Masterplan stationsomgeving Aalst” masterplan, designed by the Christian Kieckens Architects, started from a site conversion, whilst keeping the main building of the former mill in the Manchester building along the Vaartstraat. The project site is located in the oldest and most vibrant part of the city of Ostend. The Langestraat, widely known for its exuberant night life, is the central axis for action and leisure, with lots of pubs and restaurants, little hotels and hostels. The location of the service station creates an oasis in which the traveller/commuter can relax within a contemporary environment to refuel, shop and eat before continuing their journey. 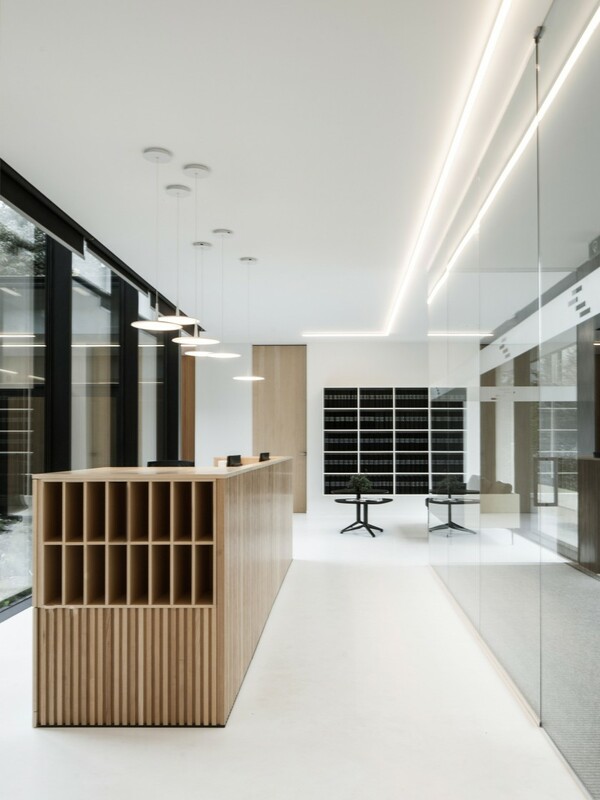 The task to design this new facility was created by a collective desire to collate a number of existing Human Science libraries, formally spread across various Antwerp University Campuses (in and around the town centre) into one central location. The ambition of Abscis Architects is layered: to achieve a customized project through a constructive dialogue with the client, where we base each project in a forward-looking local commitment in the social, economic, historical and cultural context of the environment. No content of this website may be used by third parties without the explicit permission of Abscis Architects.